Summer has arrived which means the lighter mornings have also arrived. For a while now Maxwell has been getting up at 5.50am. Although this may not seem early for some, it was unusual for Maxwell to get up so early and we believed it was due to the lighter mornings we were experiencing. Maxwell has blackout curtains in his room however the light would find a way of seeping through any small opening that may appear around the edges of the curtains. Maxwell is a child who sleeps far better in the dark allowing only a nightlight to comfort him. Due to our early wake up morning calls we were thrilled when we got the chance to review a Gro Anywhere Blind recently. When the Gro Anywhere Blind arrived, I was surprised at how small it was. 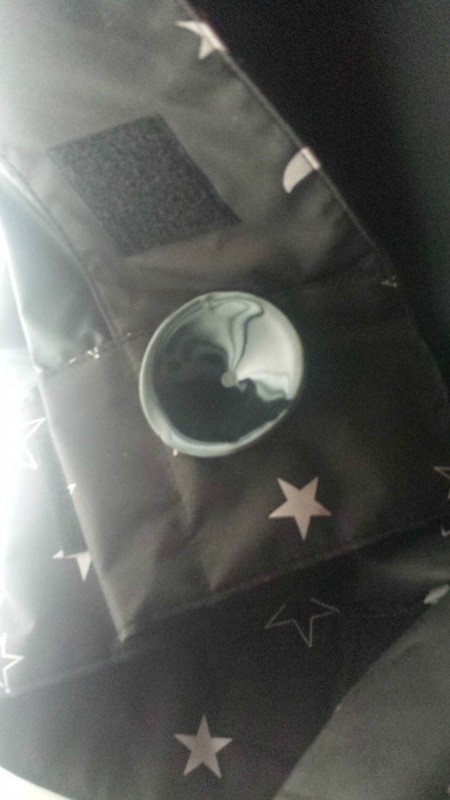 It came folded in a little travel bag which makes it not only perfect to use around the house but suitable and practical to take with you if you are going away or staying anywhere other than your own home and are wanting dark settings at bedtime or nap time for your child. 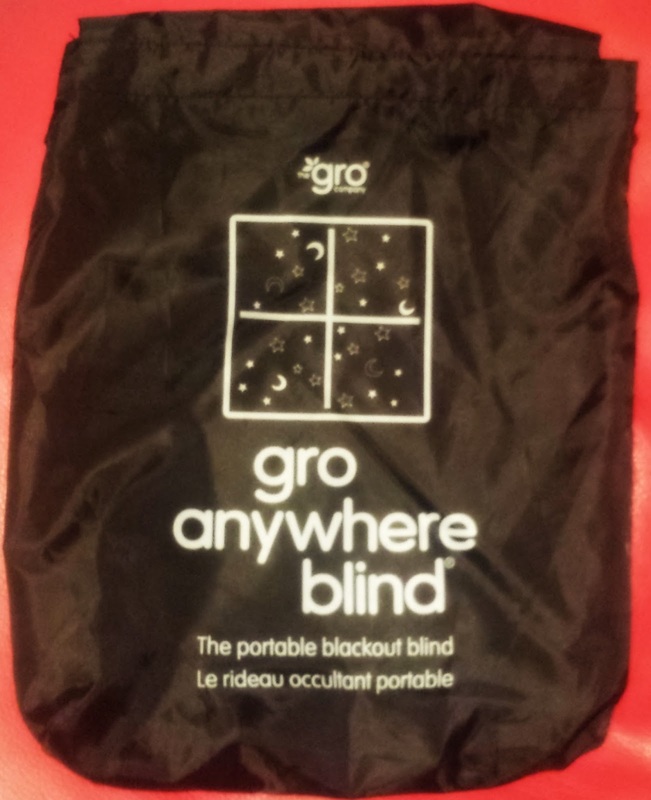 When opened out of its travel bag, the Gro Anywhere Blind is a large rectangular piece of blackout material with stars on. 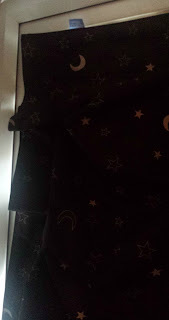 The stars are a nice little addition to the blind which Maxwell loves. The stars are plain which makes the blind perfect for either a little girl or boys room. There are no instructions on how to fit the blind however we found fitting the blind to Maxwell's window pretty self explanatory. The blind itself features suckers that run around the edges of the blackout material. These suckers simply stick to your child's window. The suckers grip well and we had trouble pulling them away from the window when we needed to take the blind down. If the blind appears to be to big for you window, the blind is easy to adjust. The blind has Velcro running along the edges. To simply adjust the size of the blind all you need to do is put the velcro together. The blind fits almost any window, tall and thin or short and wide, from 198 x 130 cm down to approximately one-third of that size. The material is good quality and very thick however it is also very lightweight. The blind does what it the Gro company says it does. It keeps 99% of the light out of Maxwell's room. The 1% that sometimes does peek through is stopped via Maxwell's blackout curtains. Since we have had the blind, we have kept it up at Maxwell's window a lot of the time. I have found that although the blind is up on his window, I am still able to open it with a little care which allows me to air out Maxwell's room daily. 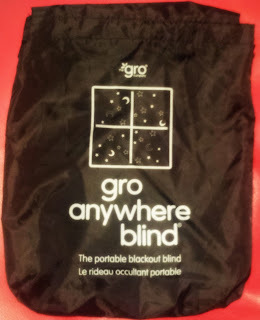 The Gro Anywhere Blind retails at £25 which I think it’s an excellent price however recently I have seen it for £19.99 on Amazon which I think is a complete bargain. The blind will go on to last Maxwell years and we will use it all year round. 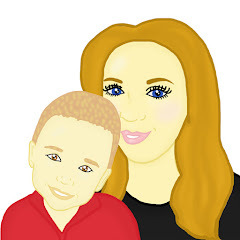 This is one of our favourite products that we have reviewed to date. I would consider it as one of my "must haves" when having children.